Jesus' call for repentance corresponded to his kingdom preaching: to repent was to acknowledge previous failure to obey as a subject of the King should. In a similar way Jesus' teaching on God as Father corresponded to his call for belief and trust. This brings us to one of the most striking features of Jesus' teaching. For whereas Jesus is remembered as saying little or nothing explicitly about God as King, the memory of Jesus' teaching on God as Father is deeply embedded in the Jesus tradition. We will return to the particular issue of Jesus' sonship below (§16.2). Here it needs to be stressed that the understanding of God as Father was nothing new to the Judaism of Jesus' time. The thought of God as Father of Israel, or of the king in particular, was long familiar in Jewish thought.30 More recent in expression was the thought of individual Israelites, particularly the righteous, as sons of God.31 Jeremias's claims need to be qualified by the recognition that the same 'righteous man' tradition was not unaccustomed to addressing God with a in however radical a form, must be explained on the basis of Israel's covenant ethics, that is, on the basis of God's holiness' (New Vision 33). 28. Bultmann, Jesus and the Wordch. 4, particularly 137-41, 151. 29. Jeremias, Prayers ch. 1; Proclamation 178-84. 30. Israel in Exod. 4.22; Deut. 14.1; 32.6; Ps. 73.15; Isa. 1.2-3; 43.6; 45.11; 63.16; 64.8; Jer. 3.4, 19, 22; 31.9, 20; Hos. 1.10; 11.1; Mai. 2.10; Jub. 1.24-25; 19.29; Pss. Sol 17.27. The king in 2 Sam. 7.14; 1 Chron. 17.13; 22.10; 28.6; Pss. 2.7; 89.26-27. See also R. Hamerton-Kelly, God the Father: Theology and Patriarchy in the Teaching of Jesus (Philadelphia: Fortress, 1979) 20-51; Vermes, Religion 173-80; M. M. Thompson, ThePromiseoftheFather: Jesus and God in the New Testament (Louisville: Westminster John Knox, 2000) 35-55. 31. Pss. 68.5 ('father of the fatherless and protector of'widows'); Ps. 103.13; Prov. 3.12; Sir. 4.10; 23.1; 51.10; Wis. 2.13, 16, 18; 5.5; 14.3; Pss. Sol. 13.9; 1QH 17[= 9].35-36 (see further G. Quell, pater, TDNT5.970-74; Jeremias, Prayers 11-29). similar-sounding degree of intimacy.32 And the suggestion that God was thought of as remote in the Judaism of Jesus' time speaks more of an earlier generation's tendency to denigrate 'late Judaism' as well as being contradicted by such evi-dence.33 Nevertheless the fact that Jesus did encourage his disciples to trust in God as Father, while hardly unique within the Judaism of his day, may be said to be distinctive in its consistency and in the degree of childlike persistence which he encouraged his disciples to express in their prayers. 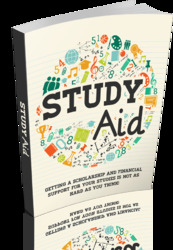 This Book Is One Of The Most Valuable Resources In The World When It Comes To Getting A Scholarship And Financial Support For Your Studies.